When people go to RaceTrac to fill up their gas tank, two things usually happen. The customer spends majority of their time staring at their phone. The customer never steps foot in the convenience store. For RaceTrac, this is an issue because the majority of their revenue comes from the products sold inside the convenience store rather than at the gas pump. So, they need to find a way to get those customers inside the store and then be able to track where they are moving around the store spatially. How to solve this problem? 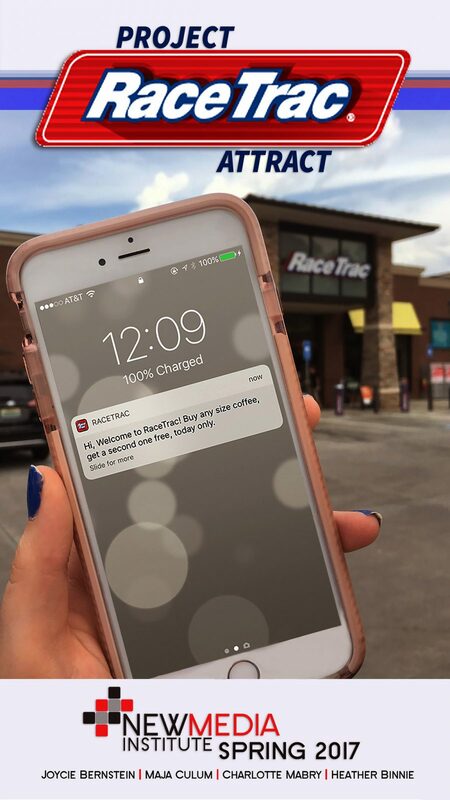 Introducing RaceTrac Attract, a rewards app for RaceTrac customers! The RaceTrac Attract team is working in partnership with Vert, a digital marketing and advertising agency based in Atlanta, to help solve this problem for Vert’s client, RaceTrac. Initially, the team honed in on a few essential goals to make sure the app was a success. The goals of the app are to move customers into the convenience store, build customer insights and data generation, create a more dynamic in-store experience for the customer and finally, increase customer loyalty. One of the most exciting features of this app is the integrated beacon technology. Beacons are small wireless devices that run on low-energy bluetooth. Due to their practicality and affordability, utilizing beacons in stores is increasing in popularity. They can send customers personalized messages and track customer insights. RaceTrac Attract utilizes beacons both at the gas pump and inside the store. While at the gas pump, the customer will receive a personalized message informing them of an available deal or promotion. Once the customer moves inside the store, the beacons will track where the customer is moving and simultaneously send promotional messages as they pass by key areas of the store. For example, when navigating the frozen yogurt station inside the store, a customer might get a notification offering them a discount on frozen yogurt. As more data is collected on individual customers by the beacons, these messages can get more personalized. For the consumer, RaceTrac Attract makes it easy and fun to save money and have a more dynamic and rewarding in-store experience. On the app, customers can find the latest deals and savings, the closest stores, pay using Apple Pay and rack up their rewards points for free treats! For Vert and Racetrac, they can gain valuable customer insight and raise revenue. Due to the specialized features of the app and the integrated beacon technology, customers will now have a better experience inside the store and in turn, customer loyalty will be generated. RaceTrac Attract creates a more enjoyable experience for the customer and provides our client with impactful customer insights. 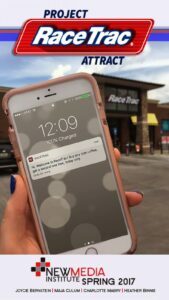 In the future, we hope that this app and beacon technology can be used at all RaceTrac locations and create a nationwide impact on how companies integrate beacon technology.